Have Sony Given up on OLED TV’s? A few weeks ago at Gadget Show Live I had the chance to check out Sony’s XEL-1 OLED TV. 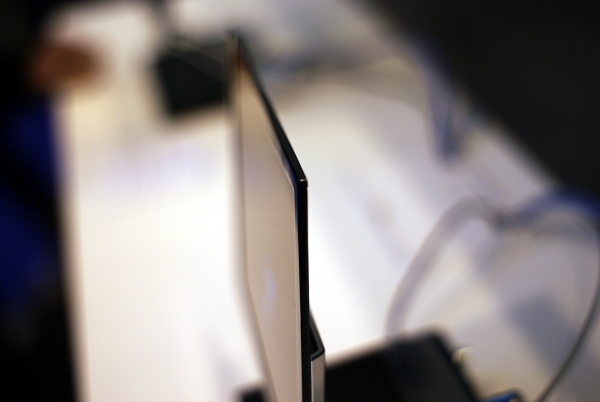 The TV measures 11″ diagonal and is just 3mm thick. The TV has been around a while now and unfortunately it will be Sony’s last OLED TV that they work on. A Sony spokesman admitted ‘We really made the XEL-1 just to prove that we could make it. Sony believe that OLED technology is more suited to mobile type devices. Research/predictions done recently suggest that the big players in the OLED field in the future will be Panasonic, LG, Toshiba and Samsung with no mention of Sony. The OLED TV industry in just 6 years time is expected to be worth $5.5 billion so it seems odd that Sony have pulled the plug so to speak. (Hopefully we get official word soon on this matter as it’s unlike Sony to pull out of something like this). OLED TV’s are fantastic devices as they have an extremely good contrast ratio of 1,000,000:1, reduced power consumption and are extremely thin. The current hurdle at the moment is cost with the XEL-1 costing up near $2500 for an 11″ screen. But, technology does get cheaper as advancements are made and it’s only a matter of time when we stick an ultra thin telly to our wall. The problem right is these are too expensive, simply put. Once the tech advances and these become reasonable, it will be more successful.